1917 Ladies Home Journal Bon Ami Color Magazine Advertisement. Bon Ami for Mirrors, Hasn't scratched yet. Ad is 16" high and 10" wide. Advertisement is in very good condition, suitable for framing. 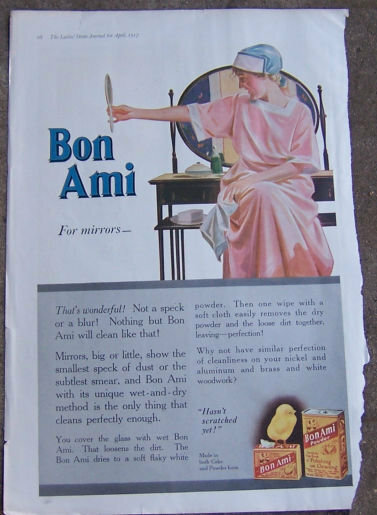 Items Similar To "Bon Ami For Mirrors 1917 Color Magazine Advertisement"
Henredon Fine Furniture 1964 Ad.